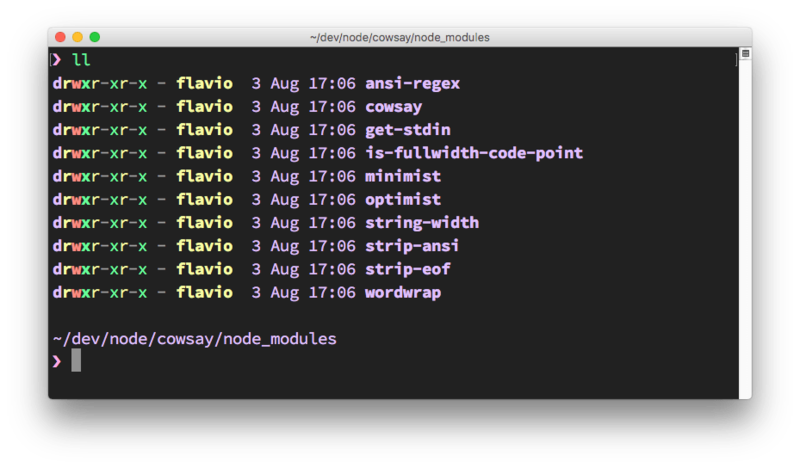 When you install using npm a package into your node_modules folder, or also globally, how do you use it in your Node code? This is going to install the package in the local node_modules folder. What if your package is an executable? In this case, it will put the executable file under the node_modules/.bin/ folder. One easy way to demonstrate this is cowsay. 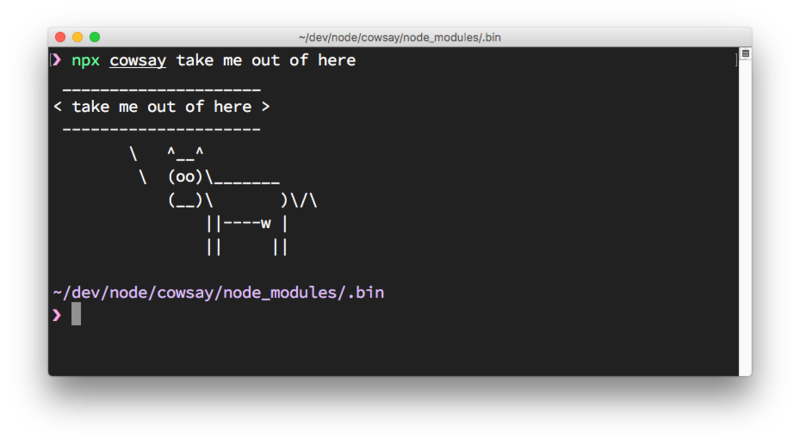 The cowsay package provides a command line program that can be executed to make a cow say something (and other animals as well 🦊). How do you execute those? and npx will find the package location.